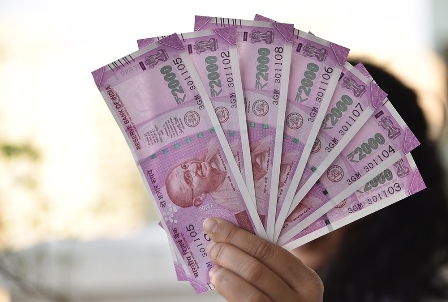 MUMBAI: The rupee appreciated by 30 paise to 68.57 against the US dollar in early trade today at the forex market on increased selling of the greenback by exporters and banks, amid a higher opening of the domestic equity market. Besides, the dollar's weakness against some currencies overseas after US jobs data showed slower-than-expected wages growth supported the rupee, forex dealers said. Meanwhile, the benchmark BSE Sensex rose by 244.84 points, or 0.69 per cent, to 35,902.70 in morning trade.